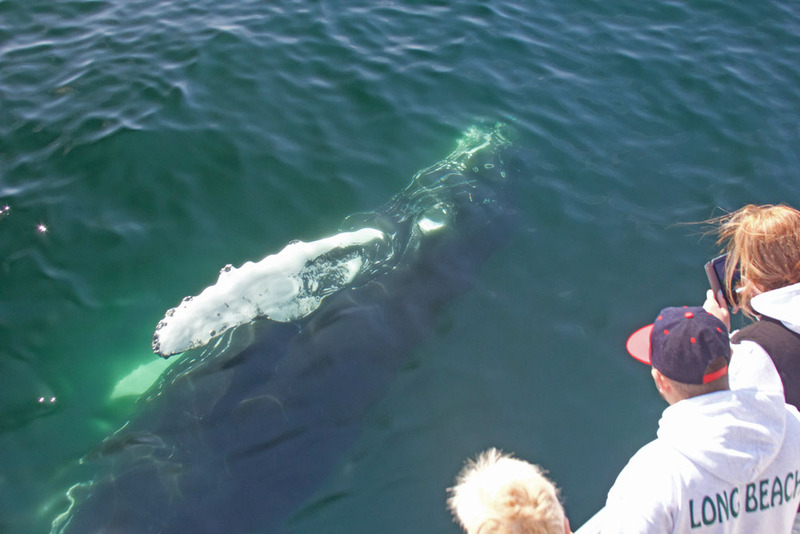 What kinds of whales will we see? How many whales will we see? So far 7Seas-Admin has created 2 blog entries. 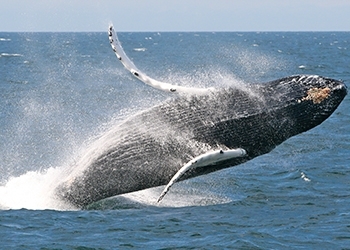 More so than any other species of whale, Humpback Whales are known for their curious nature. 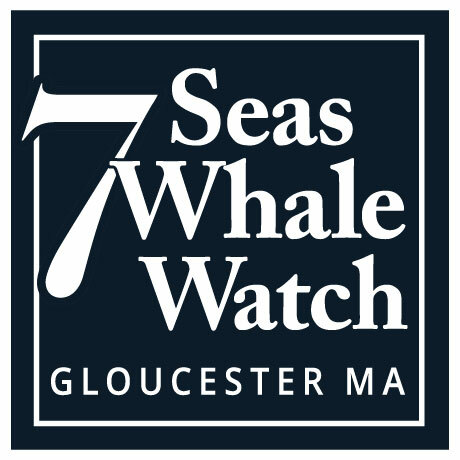 While feeding is the primary reason whale visit New England waters each year, on special occasions a whale (or whales) will take a break from feeding and choose to swim up to a boat and investigate the vessel and people onboard. From a whale watcher’s perspective, I don’t think you ever really get to appreciate the size of these animal or the effortless way they move through their ocean environment as much as when they whales are just feet away from you! 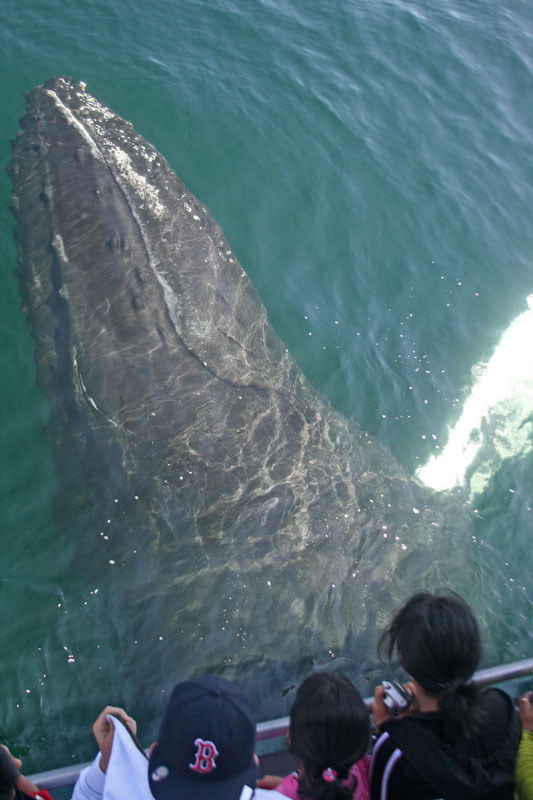 And what makes most special is that it whale the whales that chose to approach you! 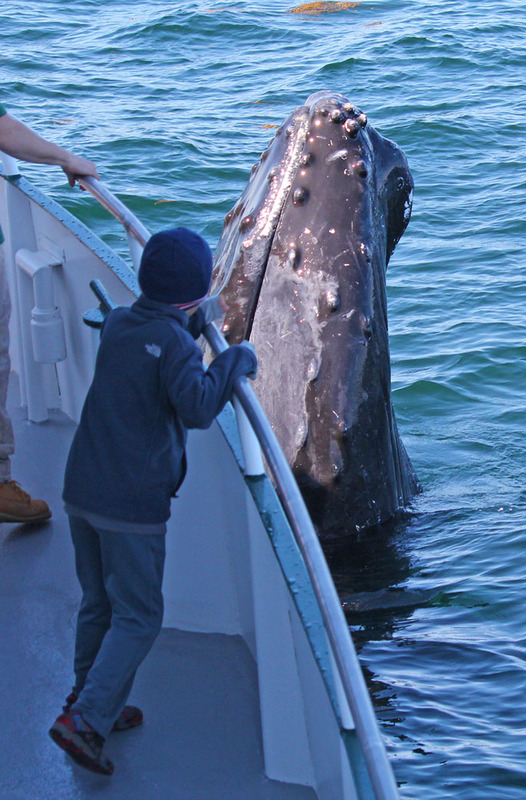 A Humpback Whale calf rolls alongside our boat to get a better look at some lucky whale watchers. Photo taken June 3, 2015 aboard the Privateer IV. The video at the top of this page was our first attempt to capture one of these amazing encounters beneath the water. It was taken on June 4, 2015. If you listen very close you can even hear trill-like vocalizations coming from the whale starting around 0:21 and continuing until the end of the video! A Humpback Whale “spy-hops” just off the bow. Spy-hopping is when a whale turned vertical in the water and lifts its head above the surface to get a better look at its surroundings, in this case a young whale watcher. Photo taken on June 3, 2015. While whales of any age are known to engage in this close-to-boat behavior, we do tend to see it more from younger whales. Perhaps they are just not as familiar with boats as older member of the Humpback Whale population and therefor are a bit more curious about these big, noisy things in their environment. So it’s not surprising these two whales who have engaged in so much of the close-to-boat behavior are juveniles. I often wonder what the whales are thinking when they are listening to the sounds coming from the boat (the engines, generator, people shouting and clapping, etc). Do they recognize the boat as a non-living object filled with many separate individuals (us)? Or do do they see all of us and the boat as one big creature? Whales, of course, don’t build machines like boats, nor they have a concept of what it’s like to live out of the water. So do they have the frame of reference needed to see us the way we really are? I’d love to know what they are thinking. But one thing is for sure, they are thinking and enjoying the experience almost as much as we are.